Demand is one of the few economic terms almost everyone knows. Demand drives supply. When demand rises, growth happens — jobs are created, the economy flourishes and society thrives. So goes the theory. It sounds simple, yet almost no one really understands demand, including the business owners, company leaders and policy makers who try to stimulate and satisfy it. Demand searches for clues as to where demand really comes from, and why, and how we might control it. 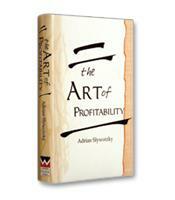 The sales and marketing books that fill the business sections of bookstores and libraries are often of limited help to companies and entrepreneurs looking to build the next great product, according to Adrian Slywotzky, author of Demand: Creating What People Love Before They Want It. "We often think that demand comes from pulling the right levers: more marketing, better advertising, more aggressive sales efforts, distributing coupons, offering discounts," he writes. "Tactics like these do have their time and place, and they can bring short-term results. But real demand is not about any of these things." Instead, Slywotzky argues, successful demand creators focus intently on "trying to understand people... They try to understand our aspirations, what we need, what we hate, what gives us an emotional charge — and, most important, what we might really love." Through their in-depth understanding of people, demand creators recognize the huge gaps that exist between what people buy and what they really want. Those gaps, he writes, "are the springboard for a process of reimagination that you might call the demand way of thinking." 1. Make It Magnetic. Good is not good enough. Demand creators keep developing a product until it's irresistible to customers. 2. Fix the Hassle Map. Most products are flawed, with unclear instructions, annoying glitches and/or other issues that create hassles. 3. Build a Complete Backstory. It's what happens behind the scenes that can make a world of difference. 4. Find the Triggers. Inertia, skepticism, habit and indifference will stop people from buying new products. Find the triggers that will move them off the fence. 5. Build a Steep Trajectory. As soon as the product is launched, look to make it better — fast. 6. De-Average. Vary the product for different customer types, getting rid of what each type doesn’t want and filling the gaps that each type is demanding. Slywotzky devotes a chapter to each of the six steps, most chapters anchored by two in-depth case studies (with other smaller examples) that illustrate the real-life applications of each step. For example, Zipcar, the membership-based car-sharing service for city dwellers, was a good idea that seemed to be going nowhere. Although it was an environmentally friendly and cost-effective solution to the hassle of owning and parking in the city, the company, after some initial success, was stagnating despite launches in a growing number of cities. Through in-depth conversations with regular and occasional customers, the company identified the core problem: density. Zipcars lots couldn't be located too far from people's home, because the hassle of getting to the lots dissuaded the use of the service. CEO Scott Griffith reversed the former strategy of trying to grow by expanding to more cities — which given the limited number of cars available made the lots more dispersed within individual cities — and decided instead to concentrate Zipcar's efforts in a few selected locations. Today, 13 million people live within a 10-minute walk of a Zipcar parking space — and the company revenues have been growing at a rate of 92 percent per year since 2002. For the environmentally conscious or any city dweller looking to overcome the hassles of car ownership in the city, Zipcar was an ingenious idea. But it was understanding the barrier of that longer walk to the car lot that made the product magnetic. This analysis is an example of Slywotzky's ability to shine a new light on problems that may halt the progress of a reader's organization. 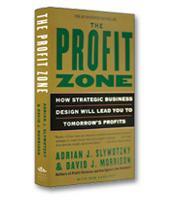 Slywotzky is not only a veteran consultant but a best-selling author who takes the time to write thoughtful books, such as The Profit Zone and Value Migration, that offer practical strategy insights supported by real-life case studies. 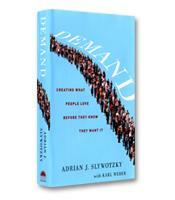 Demand, a revealing look at the mystery of demand, meets the high standards of these previous books. 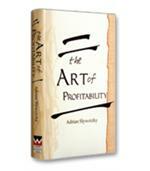 It should make a welcome addition to any executive’s reading list and deserves his or her full attention.